Page : Beacon Park Grand Opening!!! After years of design, redesign, planning, and construction, DTE’s Beacon Park is scheduled to open in grand fashion at 11:00 AM on Thursday, July 20th, kicking off a 4-day grand opening celebration. The grand opening events include live music, a night market, and family entertainment. 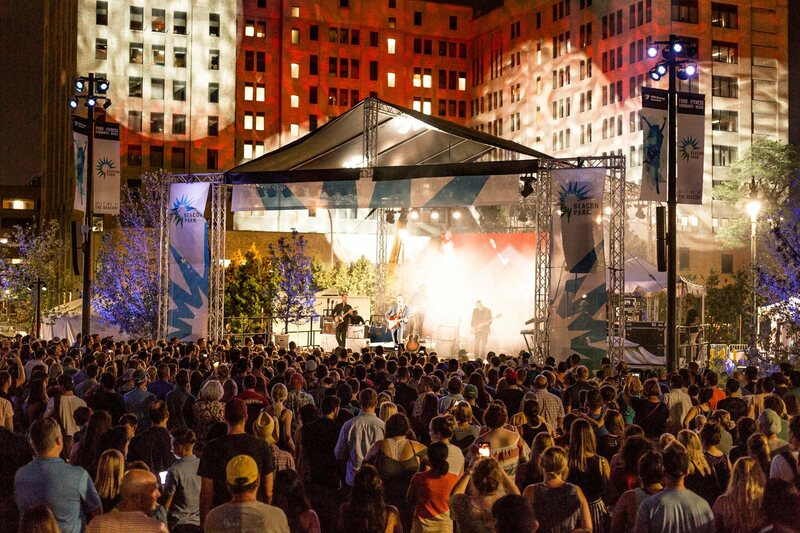 The park’s mission is to bring light, energy, and motion to west central downtown Detroit, and all 4 days of over 50 events are programmed to highlight this mission. livingLAB is honored to have led the design team for such a unique public space for Detroit. Prev - MoGo: Detroit Bike Share Launched!